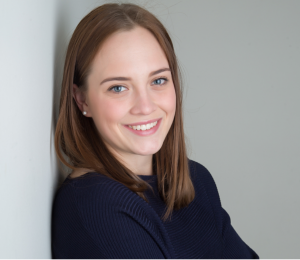 Kia ora, my name is Hannah and I am currently a third-year Nutrition and Food Science student at the University of Auckland. Once I finish my undergraduate studies I aspire to complete a Masters in Nutrition and Dietetics and become a registered Dietitian. I am passionate about Māori health and wellbeing, and hope to work with NZ communities to reduce the rates of negative nutrition related health outcomes among Māori. I am very excited to be an intern at Toi Tangata for the 2017/18 summer. My role is to develop the nutrition component of the He Pī Ka Rere programme, a previously validated Toi Tangata initiative. I look forward to the learning opportunities this project will bring, and to connecting with others who are equally passionate about Māori health and wellbeing. Ko Mitchell Purvis tōku ingoa. Kia ora, my name is Mitchell and I am from Lower Hutt, Wellington whilst I whakapapa to Ngāti Pikiao in the Rotorua region. I have recently completed my Postgraduate Diploma in Physical Education at the University of Otago under the supervision of Dr Hauiti Hakopa and Dr Anne-Marie Jackson. Additionally, I am apart of a Māori research excellence group named Te Koronga. During this year, my focus was on examining sport as a vehicle to provide opportunities for male youth to understand their identity, challenging the perception of masculinity. Through my lifetime passion and achievements in the sporting field, in particular rugby, my focus over the past five years has been premised on building youth competencies and self-confidence. Additionally, I am enthusiastic to see an opportunity as the one Toi Tangata has provided to utilise my expertise and experiences thus far through the internship for the 2017/2018 Summer. development. Furthermore, how these sports are situated within mainstream sports in relation to the connection between sport, Māori identity and culture. 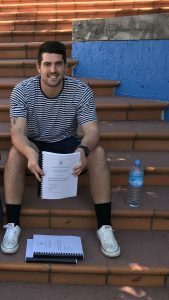 Kia ora whanau, my name is Ben and I have recently completed my Bachelors degree of Physical Education Sport and Exercise science at the University of Otago. In 2018, I will do further research into postgraduate study under the supervision of Dr Anne-Marie Jackson and Dr Hauiti through a Māori research excellence group known as Te Koronga. I am passionate about finding a way for Māori to recuperate cultural identity in the world using sport and exercise as a vehicle to do so. If I could summarise my interest, it would be any sport under the sun. I am specifically interested in basketball, rugby, and powerlifting. I have played rugby most of my life and have been involved in powerlifting over the last few years, competing at an international scale. 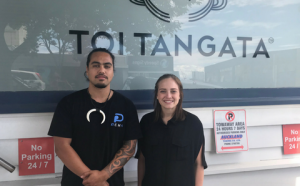 I am extremely excited to be an intern at Toi Tangata for the 2017/18 summer. My job is to research the importance of wai in relieving negative health impacts for Māori whānau and extended communities. I look forward to working with the people of Toi Tangata and extending my research capabilities.